With intranet software being used with more business focused objectives in mind, there has been a lot of coverage on large enterprise businesses and how they have been able to step up their productivity through better intranet software. This same productivity is actually just as accessible and relevant to start-ups and smaller businesses as they are to the enterprise businesses. 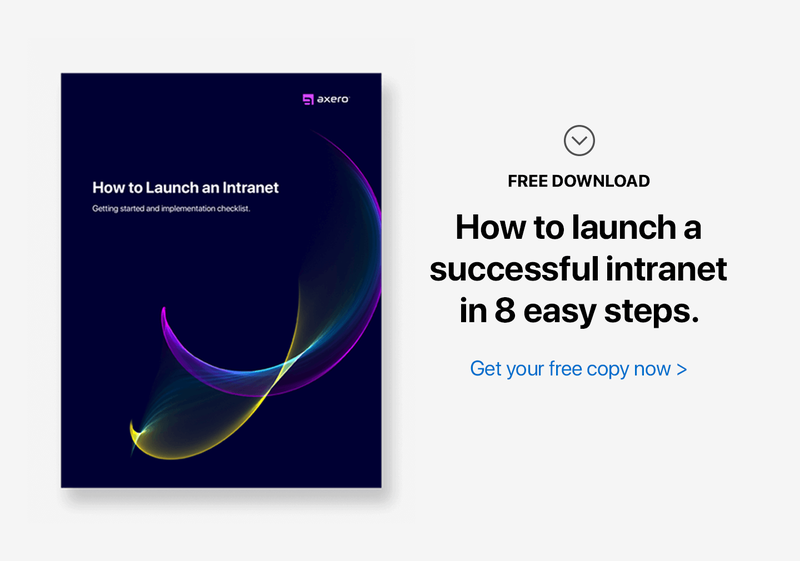 Startups that use intranet software from an earlier stage have an edge over the larger companies when it comes to implementing this type of framework into their business. Since implementing a great intranet platform itself is only the beginning, having every employee and stakeholder in the business buy into the initiative to use is just as important. And it's much easier to implement at the start-up stage than it is once there is a large workforce to convince. The other advantage start-ups and smaller business have is "ideal timing." Team collaboration is a lot about encouraging a collaborative work culture using intranet software, and start-ups are often able to adapt quicker to a change in processes and work culture as compared to larger businesses. Once everyone in your statup is comfortable with your intranet platform, and rely on it to carry out their daily work objectives, it becomes an integral part of the work culture and encourages growth. Startup companies and smaller businesses in earlier stages have the opportunity to start off on the right foot and build a collaborative culture from the get go. Startups often have a lot going on and everyone in the business is wearing different hats and managing various roles at different times of the day -- which can all get a bit overwhelming. Working on projects, sharing internal communications, updating investors, recruiting and reaching potential candidates, sharing guidelines with existing employees, coordinating with vendors, training, and so much more. Having things organized and being able to manage all these communications, content, and interactions on a single platform through a single login can make things much easier to handle and more productive. What are the Benefits of Intranets for Your Startup? You can access a single Wiki to write and cross off your "to-dos" for the day or assign tasks for important projects. You can use the instant messaging features to communicate without having to move around the office. You can answer questions and discussing important issues in the forums. You can gather opinions through polls. You can upload and sharing training videos. You can schedule and keep track of meetings and events on the calendar. There are tons of benefits. But ultimately, it will bring everything together in one scalable platform. Intranet software can be quite cost effective. Plus you'll be able to customize it over time to fit how you work. It will grow with you. Who said intranet software is only for the enterprise businesses?